How to Coach Hiring Managers for the Big Win! Recruiting is a team sport and hiring managers are key players in the game of talent acquisition. Scoring big wins early can be mutually beneficial for everyone involved, from candidates, to recruiters, to hiring managers, to stakeholders. Join us for a free webinar on Wednesday, February 13, as Tangie Pettis shares her playbook for preparing hiring managers for a record breaking season. Who Should Attend: Anyone (recruiters and recruiting leaders alike) looking for fresh ideas to add to their hiring manager coaching playbook. If you are ready to up your hiring manager coaching game then this session is for YOU! Tangie Pettis is a high-energy, award-winning, and innovative thought leader in the talent-acquisition field. 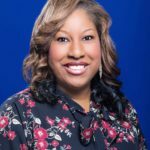 She has spent 20 years as a strategic recruitment business partner with well-known organizations across the nation including Enterprise Rent-A-Car, Home Depot (RPO), DaVita, Charlotte Russe, Aeropostale, and Vanderbilt University Medical Center. Tangie has a dynamic approach to candidate sourcing, process design and implementation. She is an active speaker and author in the recruiting community, often called upon for her expertise in candidate and hiring manager engagement. Tangie serves on the SourceCon Technology Advisory Committee and has shared her insights with SourceCon, ERE Media, Recruiting Daily #HRTX, and HCI. She speaks. She writes. She trains. And she loves every minute of it!